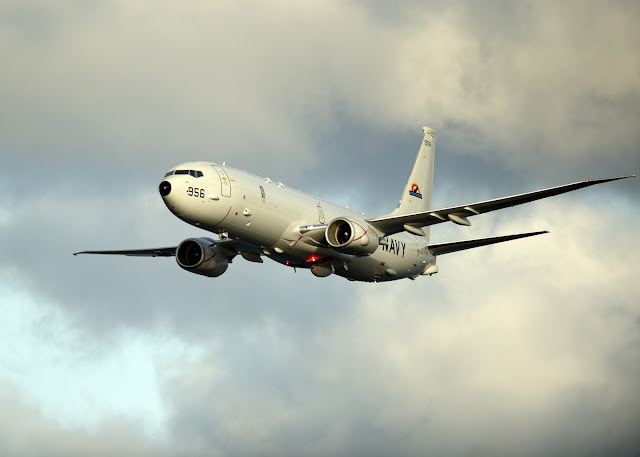 The U.S. Navy is ordering 13 P-8A Poseidon maritime patrol military jets from the Boeing Co., as well as long-lead items for another 20 Poseidon aircraft -- under terms of a $1.5 billion contract modification. Of these new aircraft, 25 will be for the U.S. Navy and eight will be for the government of Australia. The P-8 is a militarized version of the Boeing 737 single-aisle jetliner hardened for long-range maritime patrol and anti-submarine warfare (ASW) missions. Officials of the Naval Air Systems Command at Patuxent River Naval Air Station, Md., are asking the Boeing Defense, Space & Security segment in Seattle to build nine Navy full-rate production (FRP) lot II P-8A aircraft, and four Royal Australian Air Force FRP lot II P-8A aircraft.